Federal and state courts are expected to rule on several nationally watched antitrust health care cases during the first half of 2015. As we enter into the first week of the New Year, Nexsen Pruet associate Rachel Anna examines how the cases involve issues such as state action, health care provider mergers and certificate of need regulations. In 2012, the U.S. District Court for Idaho held that St. Luke’s Health System’s (“St. Luke’s”) acquisition of Saltzer Medical Group (“Saltzer”) violated federal antitrust laws and ordered St. Luke’s to fully divest Saltzer’s physicians and assets. St. Luke’s, based in Boise, Idaho, is a not-for-profit health system that owns and operates six hospitals, as well as a number of other health care facilities. Prior to being acquired by St. Luke’s, Saltzer was a for-profit, physician-owned, multi-specialty group with forty-four physician members in Nampa, Idaho. Nampa is located approximately twenty miles from Boise. The relevant market in this case is adult primary care services (“PCP services”) sold to commercially insured patients. Notably, while Nampa and Boise are only about twenty miles apart, the court determined that only Nampa is the relevant geographic market for PCP services. Approximately seventy percent of Nampa residents receive PCP services in the Nampa area. The lower court found that St. Luke’s acquisition of Saltzer physicians would result in St. Luke’s employing eighty percent of the primary care physicians in Nampa. The court predicted that it was highly likely that St. Luke’s acquisition of Saltzer Medical group would enable it to (1) negotiate higher reimbursement rates with commercial payors that would be passed on to consumers; and (2) raise rates for ancillary services (e.g., x-rays) to the higher hospital-billing rates. St. Luke’s touted three main efficiency benefits in support of its acquisition of Saltzer: (1) the transition from fee-for-service care to risk-based reimbursement services; (2) employed physician advantages; and (3) shared electronic records. The court recognized the acquisition of Saltzer by St. Luke’s is intended “improve patient outcomes” and “would have that effect if left intact.” The court also “applauded” St. Luke’s “for its efforts to improve the delivery of health care[. ]” However, there were “other ways” to achieve those effects and the proclaimed efficiencies were not merger-specific enough to outweigh the potential anticompetitive effects from the acquisition. The Ninth Circuit Court of Appeals stayed the court’s order to unwind the acquisition of Saltzer until after its review. 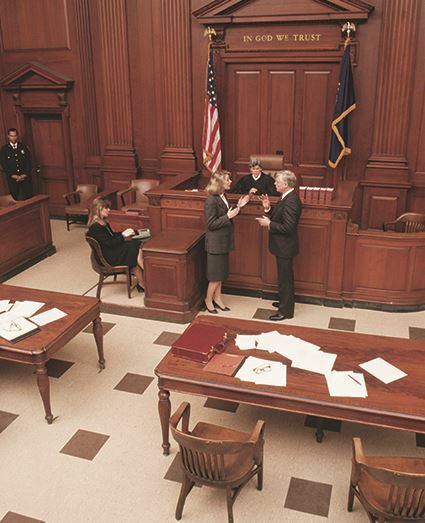 Oral arguments were heard by the Ninth Circuit in this case on November 19, 2014. The case has attracted widespread interest in the health care industry as demonstrated by the seven parties who filed amicus briefs in this case, including a public interest group, a physician association, a hospital association, a health insurance association, economists, and state attorney generals. In its appeal, St. Luke’s contends that the lower court (1) improperly defined the geographic market as Nampa and should have included Boise in the geographic market definition, (2) erred in assessing the likely anticompetitive effects of the merger, (3) erred in disregarding the merger’s procompetitive benefits and improperly defined merger-specific efficiencies, and (4) abused its discretion by ordering divestiture without considering the likely effects of a divestiture on competition and consumer welfare. At the heart of this case is the ongoing tension between health care reform focused on coordinated and integrated care and antitrust laws intended to protect consumers from anticompetitive pricing. Health care integration can potentially reduce the cost of health care, enhance patient access to health care services, and increase quality of care. Many health systems and other providers feel that the lower court’s decision, if upheld, could have a chilling effect on integration intended to produce higher quality and more efficient health care. Meanwhile, the FTC and DOJ continue to “aggressively enforce the antitrust laws to ensure that consolidation among health care providers will not increase health care costs in local communities.” The Ninth Circuit is expected to release its decision during the first half of 2015. Saint Alphonsus Med. Ctr.--Nampa, Inc. v. St. Luke's Health Sys., Ltd., No. 1:12-CV-560-BLW, 2012 WL 6651167 (D. Idaho Dec. 20, 2012). The Federal Trade Commission, Saint Alphonsus Medical Center, and Treasure Valley Hospital were plaintiffs in St. Luke’s. Richard Feinstein, Statement on the Abandonment by Providence Health & Services of its Plan to Acquire Spokane Cardiology and Heart Clinics Northwest in Spokane, Washington (2011), http://www.ftc.gov/sites/default/files/documents/closing&under;letters/providence-health-services/spokane-cardiology-and-hearts-clinic-northwest/110321providencestatement.pdf.